Fig. 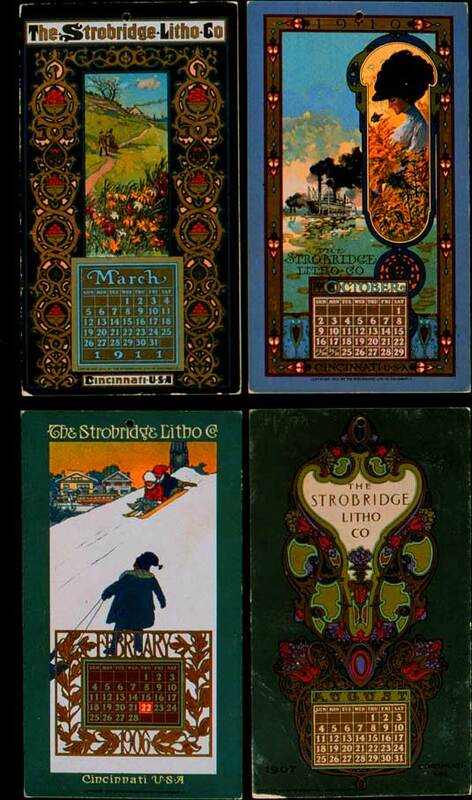 7.18 [Card calendars] The Strobridge Litho Co.
Lithographs. 1906, 1907, 1910, 1911. Each: 6&1/8 x 3&7/16 in (15.6 x 8.7 cm). Cincinnati: The Strobridge Lithographing Co. Rare Books and Special Collections Department.